Family friend Eva passed away at 102 as I was driving to Missouri to see her. 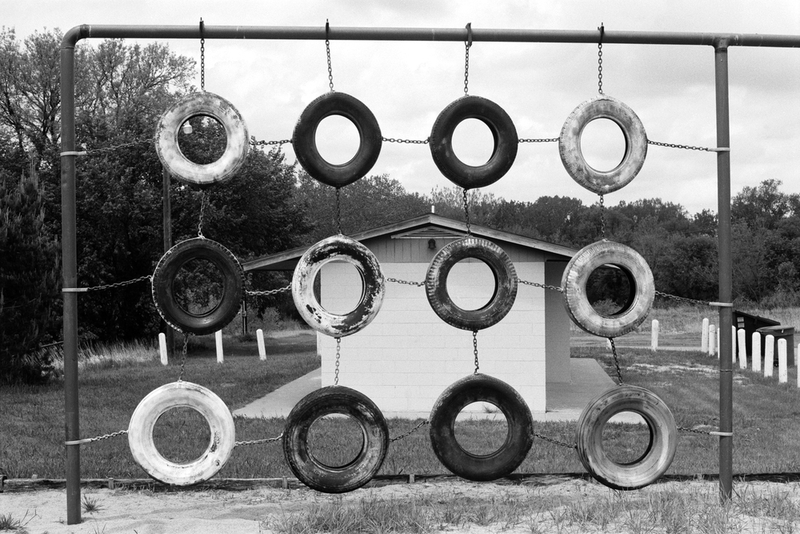 Suddenly at loose in a rented Focus on a two lane road in Illinois, a playground caught my eye. 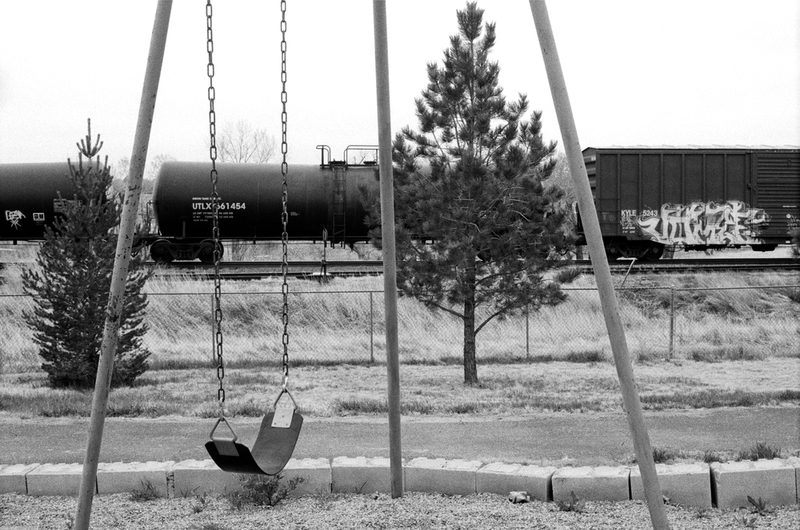 Life and death were on my mind as I noticed the relationship of the playground to its surroundings: WWI cannon, war memorials, the picnic area, the cornfield and baseball field, the nearby homes, new in Eva’s youth, and the great age of the trees- all of it. 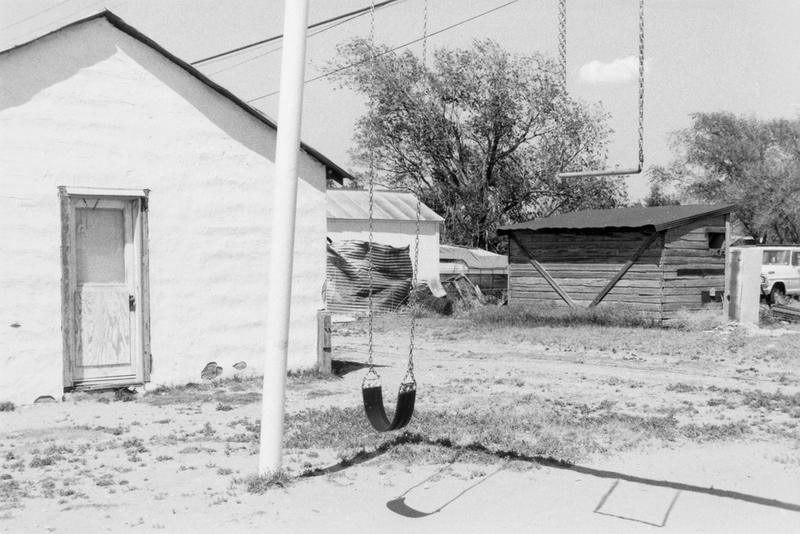 Among these was a child’s island of swings, teeter-totters and slides, a place of play and learning surrounded by the adult world that the children soon would enter. 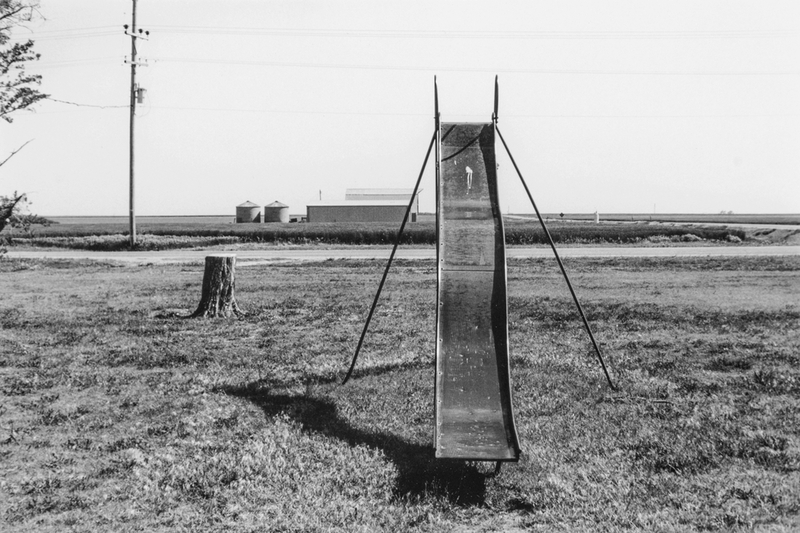 Proceeding from small town to small town I found the playgrounds in parks, schools and other public places to be varied enough and richly narrative to ignite my project. 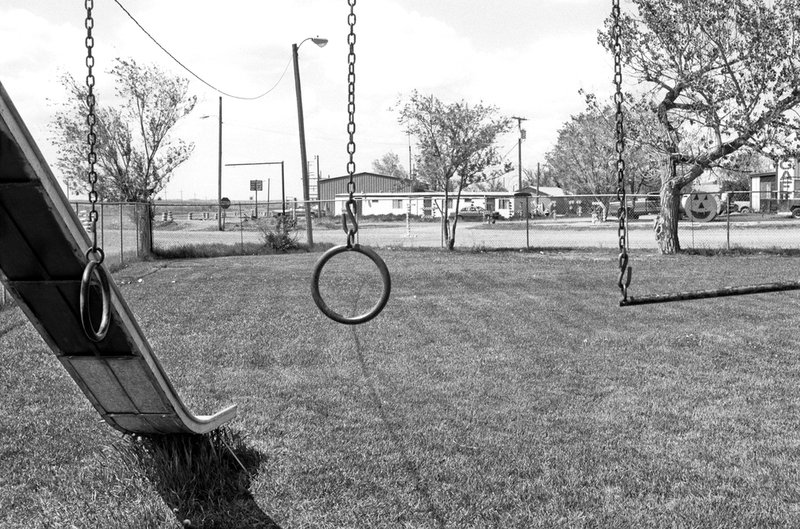 Because of aggressive playground replacement in cities, my focus has been on small towns and out of the way playgrounds. These are a species virtually extinct. 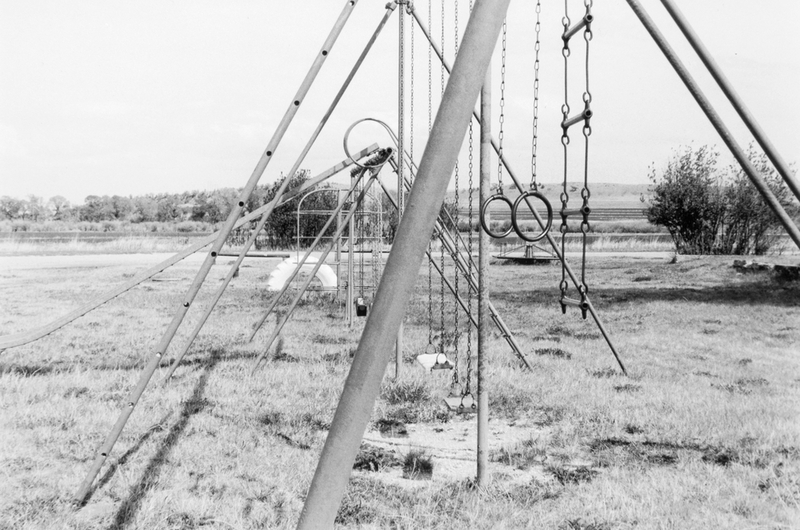 The bright and dominating presence of contemporary playgrounds stands in vivid distinction to these traditional grey, galvanized structures, which are fully present only when being played upon. When off duty, their reticent and functional architecture often blends easily with their environment, or their linear structure may sometimes seem crisply drawn upon the landscape and sky.